Mumbai: Two most talked about movies released this week, one was URI which was based on the surgical strikes carried out by Indian Army on arch rival Pakistan. 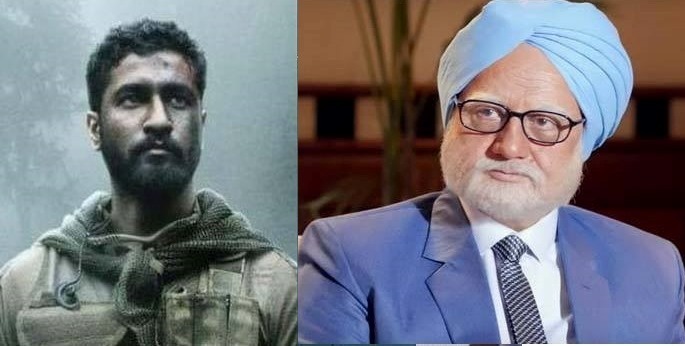 While The Accidental Prime minister is a biopic on former Prime Minister Manmohan Singh in which Anupam Kher is playing the lead role. Vicky Kaushal and Yami Gautam starrer URI was released on 2200 screens. The former started well at the box office by earning a collection of 8.25 crore. The controversy surrounding the accidental prime minister went in vain as it collected only 3.5 crore after getting 1300 screens.